I once came second in a Church Block blending competition, failing because I didn’t add enough Merlot. In my defence, I really thought that the Merlot was just a seasoning rather than a serious component (it makes up 13% of this wine and typically hovers around that mark). Anyway, there’s much to be said about this quiet hero of bargain red wine, the careful production helping to make this a natural pub winelist go-to. And the ’13 is another solid release. 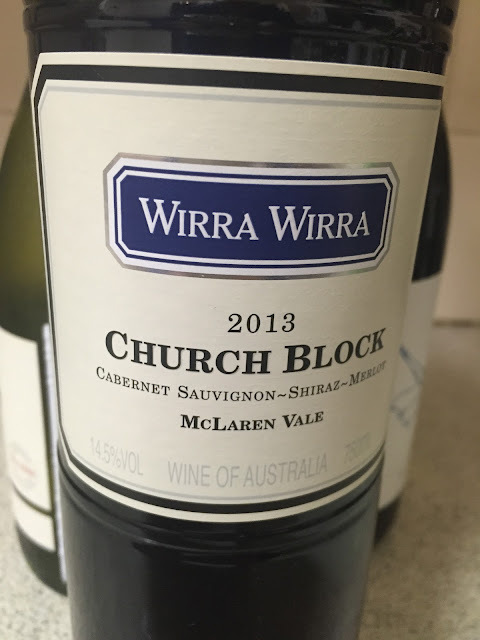 Dark red with mauve edges, it smells immediately of McLaren Vale, with a sun-drenched, open, dark plum fruit expression, topped off with more than a little Cabernet cedar. Drying, full flavoured and rather convincing in its flow of dark fruit, this is such a substantial, rich and quite grippy wine for the money, complete with real tannins and a long finish, if perhaps a little lumbering. Would I buy it? This would be a shining beacon of quality on an average list.